This is too delicious. 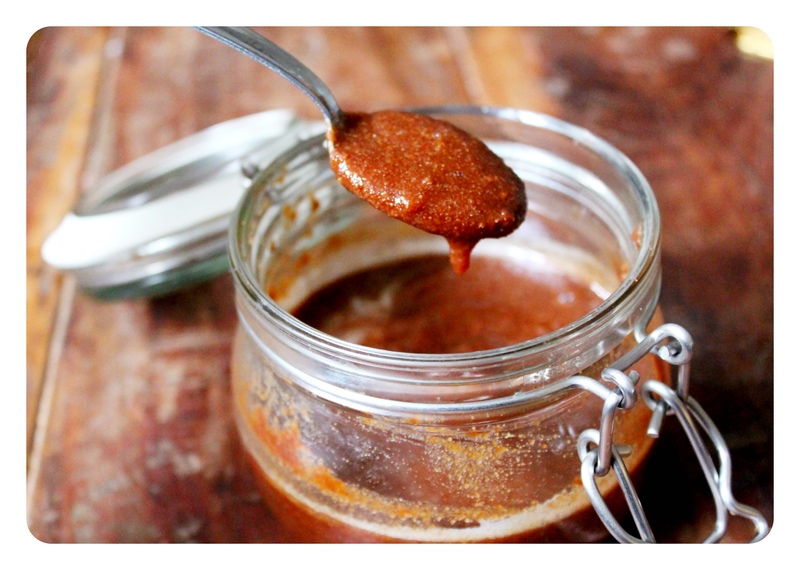 It’s like a gorgeously gooey healthy version of Nutella- you can dip into it, spread it on or lick it right off the spoon. It’s so much better for you than shop bought alternatives with just roasted hazelnuts, fabulous cacao powder and a little natural sweetener. It’s definitely one for the top shelf so you’re not tempted every time you pass it! Roast the hazelnuts at 180’C for about 12 minutes until their nice and toasted and their skins start to burst. Leave them to cool, then use a kitchen towel to rub them together to remove their skins. You won’t be able to get them all off by try to get as many as possible, for the last few stubborn ones I rub them between my fingers. 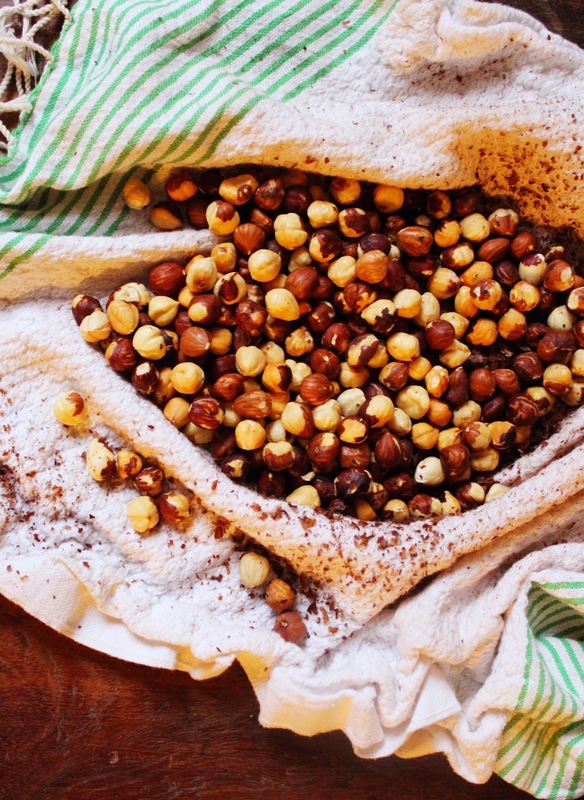 Add all of the hazelnuts to your food processor and blend until you have a flour. 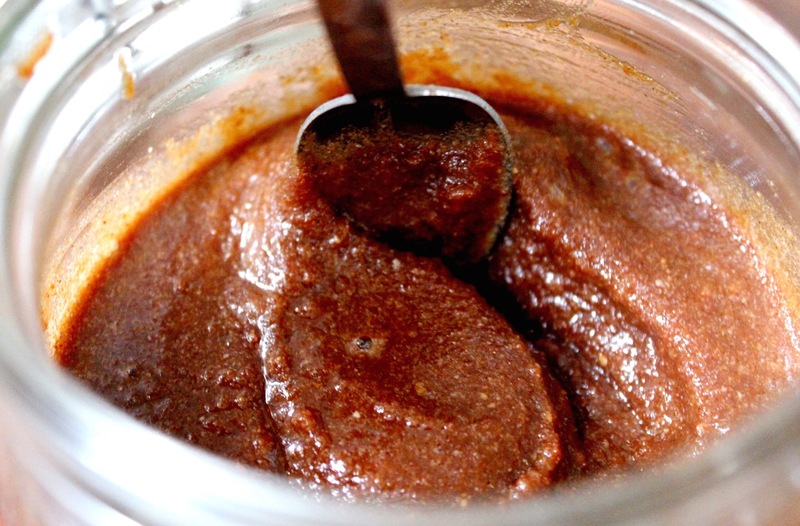 Add in the cacao powder, sweetener and vanilla and blend until you get a gorgeous runny consistency. 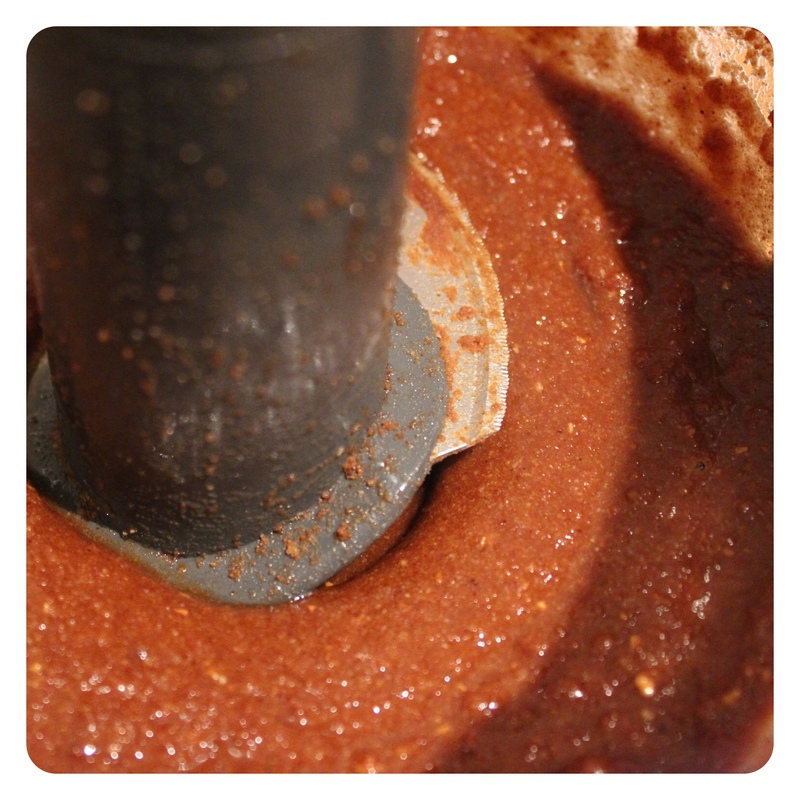 How long this takes all depends on how powerful your blender is, the longer you leave it the creamier it will get! I left mine going for about 8 minutes, scraping down the sides once or twice. If you start to lose faith, just scrape down the sides, turn your food processor on high and walk away for a few minutes. When you’ve reached your desired consistency, grab a spoon and dig in! Can you recommend a really good coconut oil please? I recently bought a very cheap one and there’s not even a smell of coconut off it. Yes a lot of the cheap versions are overly processed and stripped of lots of the great benefits! My absolute favourite is Dr. Coy’s, it has the nicest taste and texture! I actually have a 10% discount code if you get it online at http://www.drcoys.ie/shop, just type in LGS10SPR at checkout! How long would this last ? And where would u store it. ? How long would this keep for in the jar?